The “kalam of the age” (kalam al-‘asr) is the systemic deconstruction of all the western sciences and their reconstruction from within the conceptual framework of the Worldview of Islam, by which, along the way, some of these sciences may be seen to be discardable altogether, while others reexamined, remodified, restructured and redirected to serve the higher purposes of the divine Law (Maqasid al-Shari‘ah), i.e., to serve the true purpose of our life as Muslims in this world. Do not let our present preoccupation with the puerile, incoherent ramblings of the Wahhabis and the neo-Mu'tazilis divert us from drawing creatively from the profound lessons of traditional classical kalam to meet head on the real challenge of the age, the challenge of a subtle and sophisticated secularism, materialism and nihilism systemically imparted into minds and hearts of Muslim students, researchers and scholars in Western and Western-type universities. This call of the kalam of the age is precisely the call which Shaykh Afifi al-Akiti and Dr. Hisham Hellyer are inviting us to heed in their jointly authored article, “The Negotiation of Modernity through Tradition in Contemporary Muslim Intellectual Discourse: The Neo-Ghazalian, Attasian Perspective,” in Wan Mohd Nor Wan Daud & Muhammad Zaini Uthman, eds., Knowledge, Language, Thought & the Civilization of Islam: Essays in Honor of Syed Muhammad Naquib al-Attas (Kuala Lumpur: UTM, 2010), pp. 119--134. 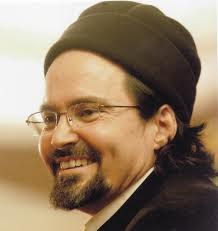 In light of this consideration, the study of the Ghazalian Tahafut and its creative re-articulation in contemporary philosophical, sociological and scientific terms, should be made fardu 'ayn on all who are studying, teaching, researching or practicing the western sciences. For the real intellectual battleground for Muslims in the modern age is not puerile neo-Wahhabism or neo-Mu’tazilism, but the neo-Dahrism of the western sciences which they all gleefully imbibe, including those who are right now sitting at the feet of the great living shuyukhs of our time in Syria, Jordan, Yemen, Morrocco, Tarim, Malaysia and India, drinking from the wellsprings of tradition. They gleefully imbibe the western sciences without fathoming the subtle neo-Dahrism lurking within these sciences because they lack the conceptual framework to be able do so. And this “conceptual framework to be able do so” is the kalam of the age, and the mutakallimun of this age need to develop and elaborate it. When I say “gleefully,” it is the gleeful innocence and naivete of those who do not have a clue as to what they are actually imbibing as "education" or "knowledge" or "skills" in modern universities. Yes, gleeful, precisely because they are unwitting intellectual victims of that grand, elaborate charade called science, technology and economics. The Tabah Foundation nanotech “position paper” is one instance, another is a “sufi” biomedical friend who fail to see anything wrong with vivisection, or that one with his MBA studies and forthcoming Wall Street job, or the thousands teaching, researching and working in so-called Islamic Banking and Finance. At IIUM I can multiply these instances to the thousands by first hand experience. The great task of these students and scholars is to approach these western sciences investigatively (tabayyun) by systemically constructing and elaborating a conceptual or intellectual framework through which the tradition can be brought to bear creatively and critically on the western sciences, or shall they go on allowing the tradition to be intellectually impotent and acquiescently silent in the face of an arrogant and aggressive neo-Dahrism? The fault then lies not within the tradition but within their own minds and hearts. What I say here is nothing new, for even the conscientious thinkers of the West are making this very same indictment of their own intellectual edifice (“wa shahiduu 'alaa anfusihim”) such as Heidegger, Serge Latouche, et al. Knowing the tradition alone is not enough, for the carriers of this tradition must also know how to read the “situation of the age” (ahwal al-‘asr) that they may bring the former to bear creatively and critically on the latter, and thereby avoid falling into the pitfalls of nihilistic neo-Dahrism (call it evolution, progress, historicism, growth, development, whatever). I’m calling it neo-Dahrism, so we may be shocked to real intellectual and educational action and not reduce the kalam discourse to merely a means to whack the puerile Wahhabis; let them be childish with their silly ramblings, but we simply have to move on. The Wahhabis and the neo-Mu’tazilis are mosquitoes, and at times we have to really smack them, but the neo-Dahris are the real monsters, but where are our kalam champions to be called into mortal combat against these monsters? The whole problem with neo-Dahrism is that it does not present itself to us as heresy and we don’t see it as such, but to see it as such is to revive the kalam jadid of the Ghazalian Tahafut and the Fakhrurazian Matalib. Failing to do so may not necessarily render us formal neo-Dahris (i.e., self-conscious believers in secular progress), but we’ll be neo-Dahris in practice all the same because the neo-Dahrist disciplines we imbibe in the universities present themselves to us as value-neutral objective truth, and we are gullible enough to accept that presentation, lock, stock and barrel. In brief the heresy of the age demands a kalam of the age to expose its true face to all thinking Muslims who care enough about reviving the tradition and organizing their personal, communal & civilizational life on it. Abu Sulaiman Ad-Darani berkata,"Malaikat zabaniyah lebih cepat menuju para penghafal al-Quran yang berbuat maksiat kepada Allah daripada penyembah berhala iaitu ketika mereka berbuat maksiat kepada Allah setelah membaca Al-Quran"
" Knowledge and recognition should be followed by acknowledgement and submission"